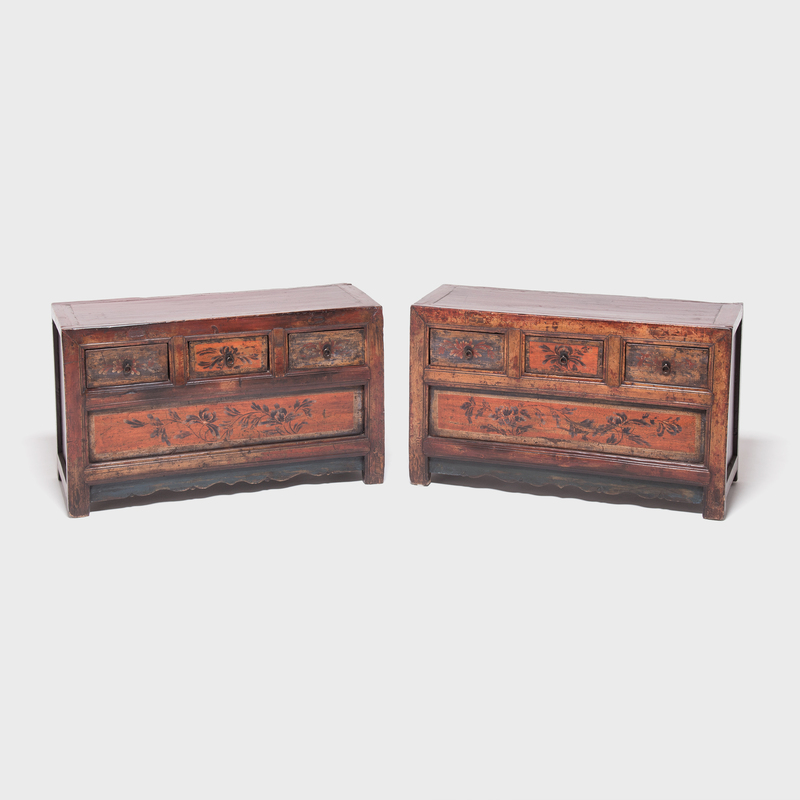 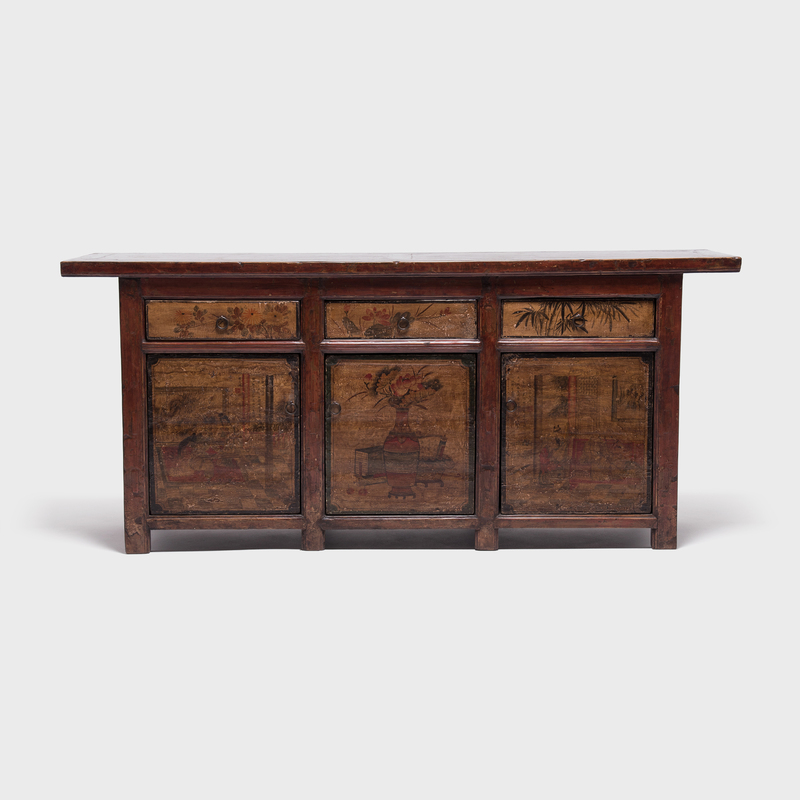 W: 38.0" D: 15.0" H: 21.75"
This pair of provincial 19th-century low chests from Mongolia were crafted of pine and cloaked in layer upon layer of rich red lacquer. 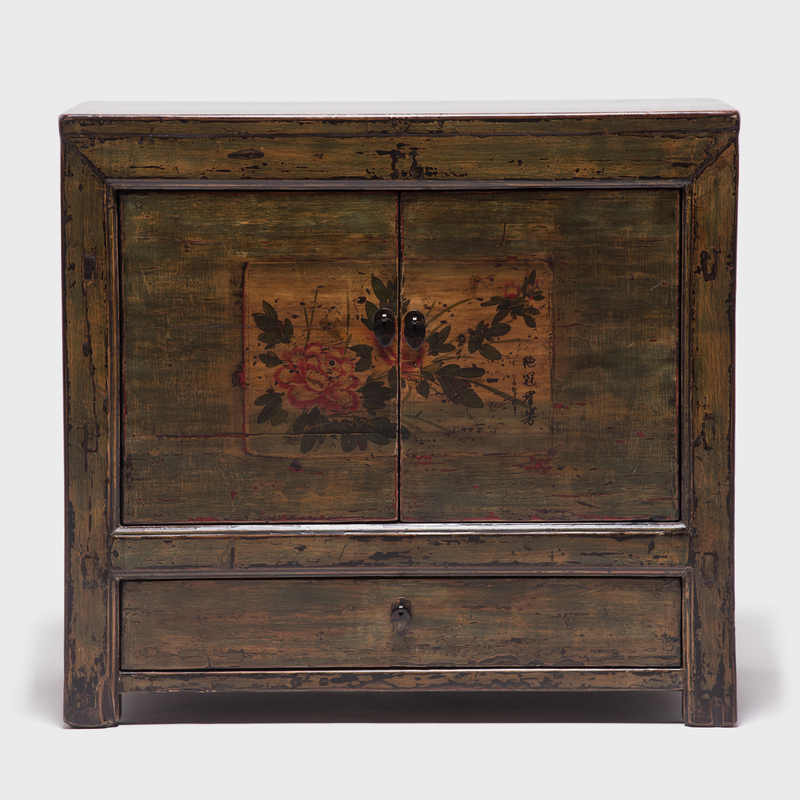 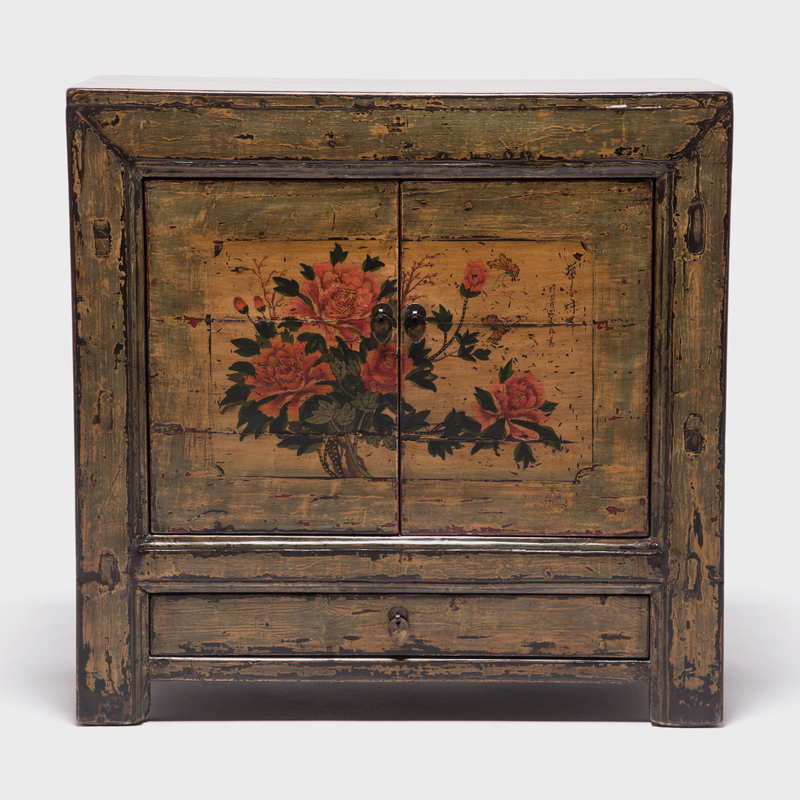 The drawers were then hand-painted with graceful flowers and trailing vines, accented by simple brass hardware. 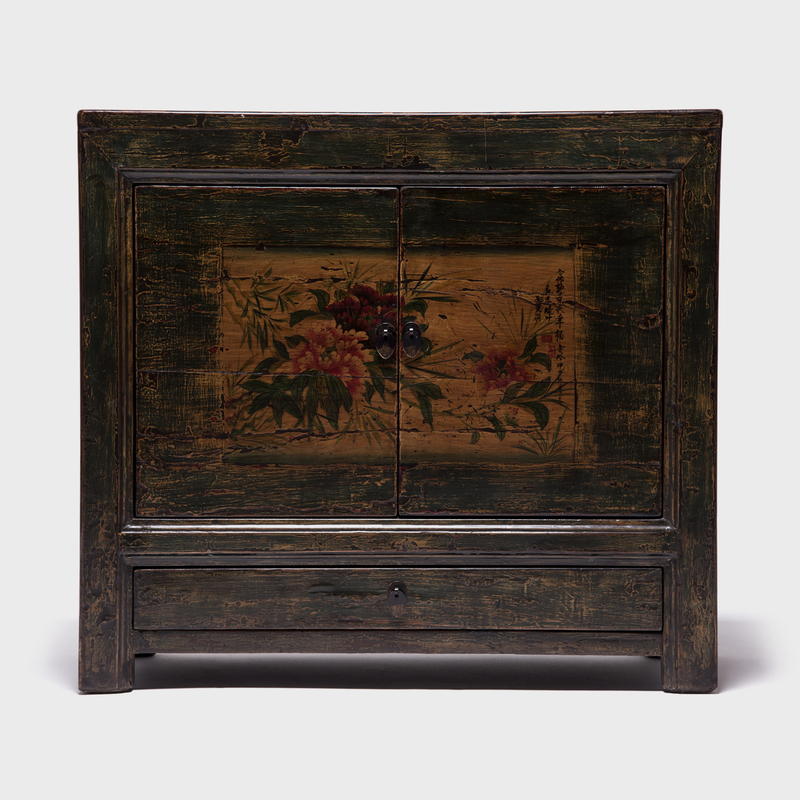 Each chest has three drawers and a stationary panel beneath, a typical design for Mongolian furniture.